It is necessary to obtain proper legal advice and be aware of what options are available if your SSD and SSI applications are wrongfully denied. Social Security cases are very difficult to pursue effectively without the assistance of qualified legal counsel. Our firm has the experience and resources to best advocate for the benefits that you are entitled to. If you are disabled or unable to work, it is important that you file a claim for Social Security Disability immediately. The application process can be long and complicated. If your claim has been denied, working with an experienced SSDI attorney will ensure that your appeal is filed properly and managed professionally, removing the confusion that can often be overwhelming. At Woelfel & Woelfel, we handle all of the critical paperwork using our experience and knowledge of the law. A large percentage of all initial Social Security Disability claims are rejected. Many people get discouraged at this point and give up. It is our mission to get you the compensation that you deserve. If your initial claim is denied, we will help you to request a hearing with an Administrative Law Judge. Especially if an experienced Social Security Disability lawyer presents a strong case, many claims are won at the hearing stage. If an Administrative Law Judge declines you following the hearing, an appeal can then be filed with the Appeals Council. We will follow each step, providing everything needed to maximize success. If you find yourself with the need to appeal an SSDI claim, you are most likely already dealing with enough stress and pain in your life. We can guide you through the appeal process and significantly increase your chances of approval. In our Social Security Disability work, you are only charged for our services if you receive benefits. 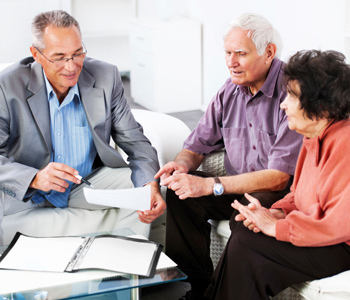 Once your claim is accepted, we will ensure that you receive proper payment from the Social Security Administration. If you would like to discuss your Social Security Disability Insurance, SSDI, SSD, or SSI case with a dedicated Huntington personal injury lawyer, call (800) 803-6249 for a Free Case Evaluation.